LOCAL ELECTIONS are around the corner in Turkey and now there is a latest survey that has gone out to seek the voices of voters. The survey asked several residents of Istanbul, Ankara and İzmir. The survey was done by the Kadir Has University in Istanbul and was reported by the Diken web portal. The survey continues to show the most accepted definitions are religious and conservatives. But people who consider themselves as religious are 30.9% and those conservative are 13.5%, republican and Kemalist are 16.9%, social democrats are 6.3% and as religious/conservatives are 44.4%. One of the biggest concern of those surveyed was economic challenges that have hit Turkey in recent years. People who indigenize the presidential system are 58.5%. Meanwhile, voters find the performance of a presidential system to be at 41% while 30.2% find the performance to be unsuccessful. On the other hand, unemployment is one of the main problems for citizens, standing at 27%. As Turkish people strive to survive tough economic problems, ‘high cost of living’ is one of the main problems at 17.8%. Those who said they find government economic policies to be failing stand at 33.6%. On continental diplomatic and military relations, 41.9% said Turkey should dump its membership of NATO while 58.7% disagreed, saying Turkey should stay. One the European Union (EU), 48.9% said negotiations with the continental body should steam ahead. On recent relations with the US and Israel, only 18.8% felt Turkey is under division threat. The country viewed as most dangerous to Turkey was the US, with 81.9% saying this and putting Israel at Israel 63.3%. The survey further revealed the most confidential foundation in Turkey is gendarmerie while the presidency is 44.1%, media is at 31.9%. The survey also discloses some striking figures like the people who are satisfied with living in Turkey is 38.8% while 19.8% are not satisfied. 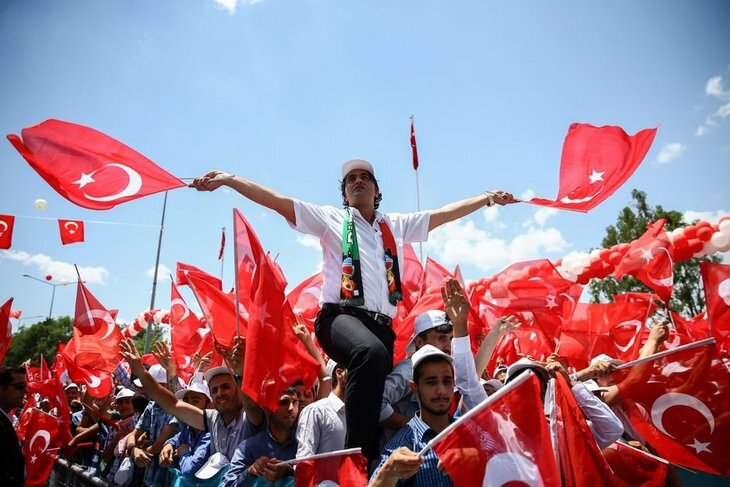 It was found that most of the satisfied are supporters of the governing Justice and Development Party (AKP). Twenty percent of supporters of the Peoples’ Democracy Party (HDP) and Republican People’s Party would like to live abroad. On the contrary, 60.4% of Turks want to stay in Turkey.